In The Great Outdoors, a man’s perfect family vacation is ruined by his obnoxious brother-in-law. Chet Ripley (John Candy) decides to take his family up to a rustic Wisconsin getaway and have a nice, peaceful vacation. Then Chet’s yuppie brother-in-law Roman (Dan Aykroyd) shows up with his strange family and decides to take over Chet’s vacation. Roman soon tells Chet that he has no money and has been faking the lifestyle and is looking for cash. Meanwhile, Chet’s son has a summer romance, and a giant bear is on the loose, looking for revenge, and Roman’s twin daughters go missing in an abandoned mine. 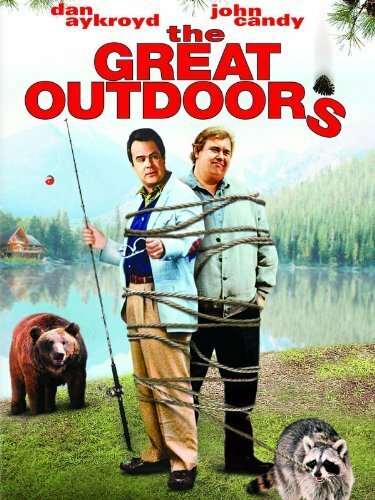 The Great Outdoors was part two of my John Candy-a-thon (part one was Uncle Buck) and while The Great Outdoors was also written by John Hughes, he chose not to direct it. While not as endearing or charming as Uncle Buck, The Great Outdoors still has some memorable moments. This time around, Candy plays a subdued family man, almost a Clark Griswold (from Vacation) type. Aykroyd plays a pushy, antagonistic guy that you almost feel sorry for but mostly not. I like Dan Aykroyd, but this role always kind of gets on my nerves. If there’s one thing that holds back The Great Outdoors is the superfluous teen romance. Not only does it break up the flow, but it changes the tone of the movie into typical 80s teenager fare. It’s almost like they didn’t feel like they had enough movie there without it and threw it in just to make the film longer than 70 or 80 minutes. It doesn’t kill the movie, but I found myself zoning out a bit during those scenes. The most memorable thing about The Great Outdoors for me was the giant bear. When Chet is telling the story about shooting the bear but only taking the fur off its scalp, your imagination paints a picture (even more so as a kid). When the bear actually shows up bald, it gets me every time. There are a few other parts that stick out, most of them involving Candy, but on a whole it’s a fairly anemic film. Since The Great Outdoors comes as part of the John Candy boxset (also alongside Going Berserk, which I don’t hugely care for). 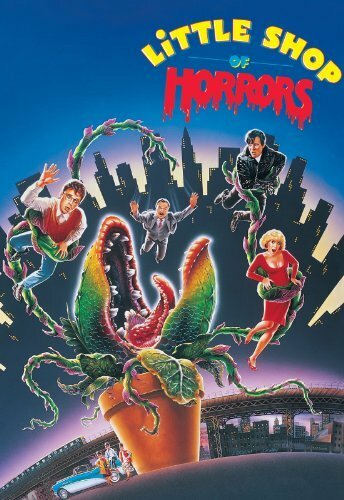 While it has some laughs, it is not one of John Candy’s best films. The Great Outdoors is enjoyable to watch but there are better John Candy / John Hughes films to watch. I give it 3 water skiing scenes out of 5. A family crisis causes a need for a babysitter for a rebellious teenage daughter and her two younger siblings, so they call in Uncle Buck. In the Chicago suburbs, Cindy (Elaine Bromka) and Bob Russell (Garrett M. Brown) live with their teenage daughter Tia (Jean Louisa Kelly), son Miles (Macaulay Culkin), and daughter Maizy (Gaby Hoffman). When Cindy’s father has a heart attack, the parents reluctantly decide to travel to see him and leave the kids in the care of Bob’s good-hearted, but slovenly brother, Buck (John Candy). 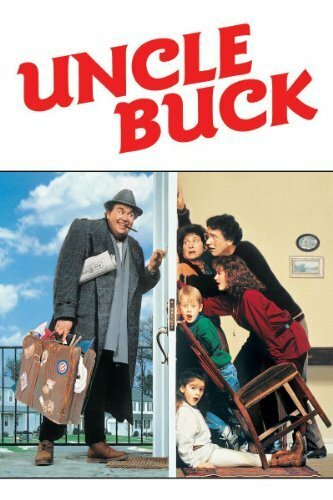 When Uncle Buck arrives, the young kids immediately take to him due to his fun nature, but Tia constantly puts up a battle that only a teenage girl could. Uncle Buck was part one of my two part John Candy marathon alongside The Great Outdoors. As one of the numerous John Hughes films starring John Candy, Uncle Buck is one of my favorites, after Planes, Trains & Automobiles. When John Candy is playing a funny, good-natured guy that just can’t catch a break, I immediately empathize. Buck Russell is a good guy that can’t seem to get his own life in order but you can’t help but love. Toss in some cute kids to lighten the mood and it’s a recipe for success. I grew up watching John Hughes movies and it’s funny that so many of them are similar but still seem totally original and always enjoyable. Uncle Buck is one of those movies that defines Hughes’ non high school films and will likely stand the test of time. 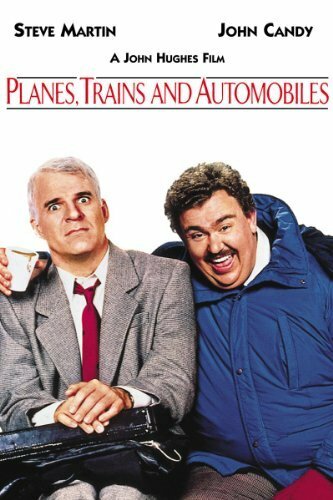 It’s easy to compare Candy’s roles here and Planes, Trains & Automobiles, they are quite similar but have different motivations and instead of Steve Martin to riff off of, Candy has young Culkin and Hoffman and himself. The role of Buck really lets Candy shine on his own and that is what helps make Uncle Buck special. While it may not be the laugh out loud comedy that you keep coming back to, Uncle Buck is one of those movies that just makes you feel good. The movie has a big heart and a solid sense of humor and it plays to those strengths. As part of the legacy of both John Hughes and John Candy, Uncle Buck is surely a winner. 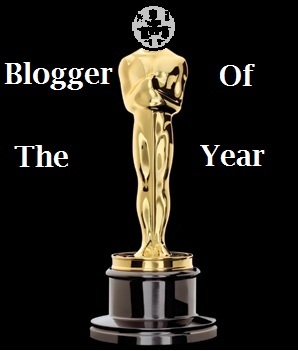 I give it 4 “I’m a kid, that’s my job”s out of 5.